Lock in a great price for Villa Mataano – rated 8.8 by recent guests! 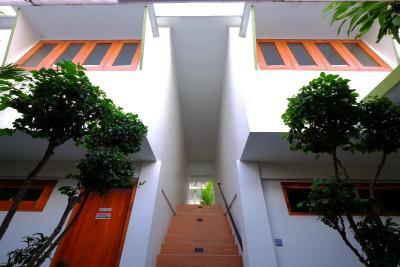 Location very good, quiet, staff polite, clean room, hot water, and aircon. 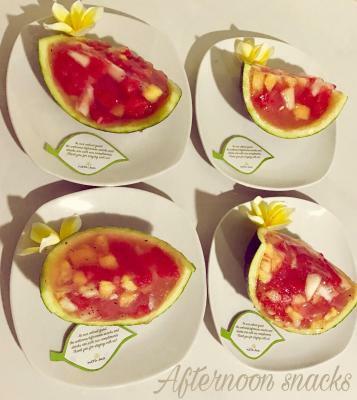 You are close to a great food place named Temptation and to the living area with a super Italian restaurant named Pasta Pojok, only 3 minutes by motorbike or 10 minutes walking. The staff were amazing, the rooms were large and beautiful, pool was clean and breakfast good. 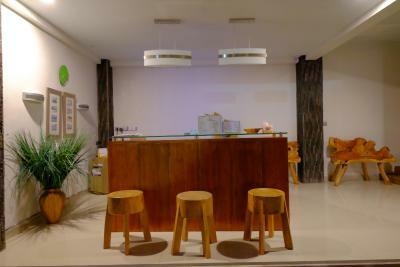 The welcome drink, snack and afternoon snack were a few of the little touches that make this place so special. Such great value for money! 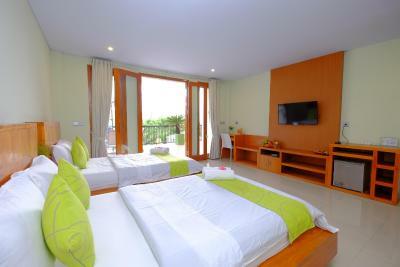 spotless clean and modern room, good wifi, nice balcony and good breakfast. They rent scooters here for a very good price and the owner was very helpful. Beautiful, clean accommodation. Very nice staff. After the long trip we really appreciate the refreshing welcome drink and the snack. 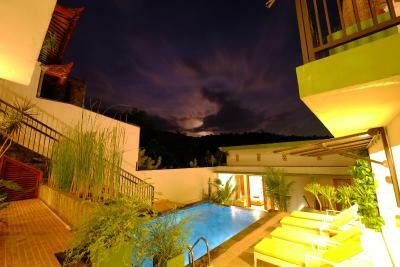 We were a group of 13 persons and all of us were very satisfied and would recommend this accommodation. location very good..staff very friendly and so helpful....welcome drink and food very nice....just tired coz must climb to room..but everything perfect.. The staff was so friendly, the room was soooooo clean and comfortable, the view was beautiful ( with the ocean ), the swimming pool was perfect, just for us. I recommend this place !!!! Wow, this place is a GEM! The welcome drink and snacks were lovely and I especially appreciated that they gave us fresh aloe when I told them about our terrible sunburn. We extended our stay by 3x days and the owner even threw in a discounted breakfast! The view is lovely from the twin room, and it was extra, extra spacious. AC and wifi worked very well, and we loved having all the cable TV channels. The pool was also very nice, and oh man, the staff are amazing. Set amid natural greenery, Villa Mataano offers far-reaching views of the surrounding nature. The white sand Senggigi Beach is less than 10 minutes’ walk away. 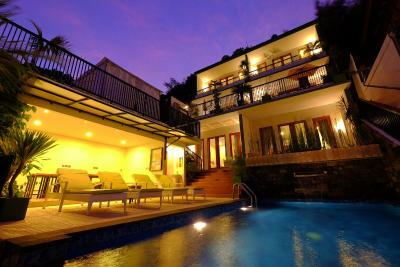 Boasting two outdoor pools, the villa houses air-conditioned rooms with private balconies. 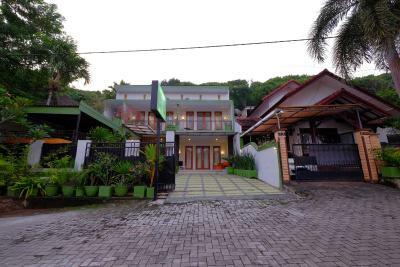 Villa Mataano is also a 5-minute drive from the center of Senggigi where the art market, dining and nightlife options are located. A 20-minute car ride from the property leads to the center of Mataram City, while Lombok International Airport is 60 minutes’ drive away. 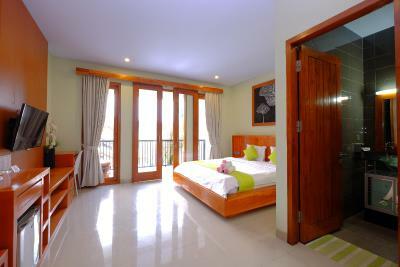 Cozy rooms are all air-conditioned. In-room comforts include a fridge, electric kettle and a seating area with a sofa. 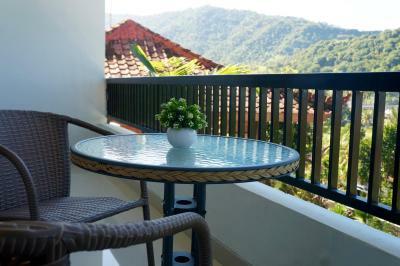 Certain rooms have a private balcony with views of the mountains. 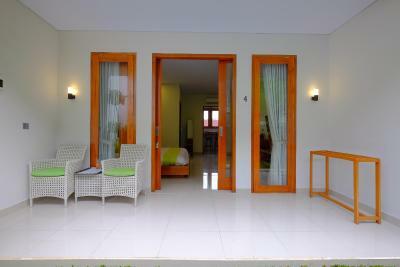 The private bathroom in every room comes with shower facilities and toiletries. 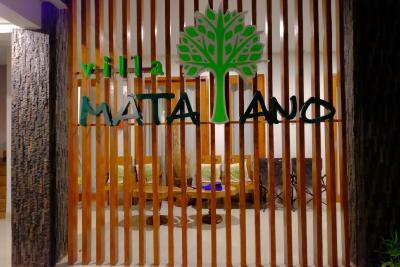 Providing laundry service at a charge, Villa Mataano also offers luggage storage facilities. Day trips to Lombok's Kuta Beach, Rinjani National Park and Gili islands can be arranged upo request. For meals, there is a local restaurant serving international cuisine, located a 10-minute walk from the property. 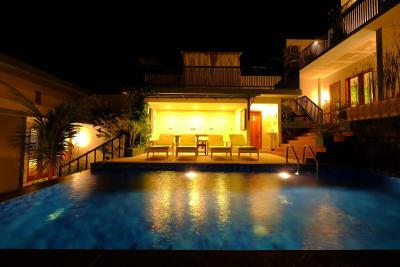 When would you like to stay at Villa Mataano? 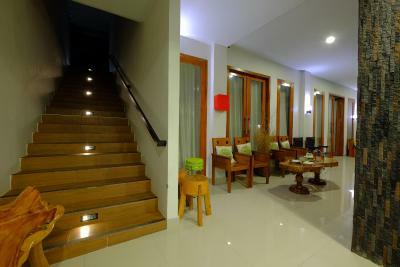 Featuring a large outdoor balcony with views of the mountain and Sekotong Bay, this air-conditioned 40 sqm room comes with a 40-inch flat-screen LED satellite TV, mini fridge and a safety deposit box. 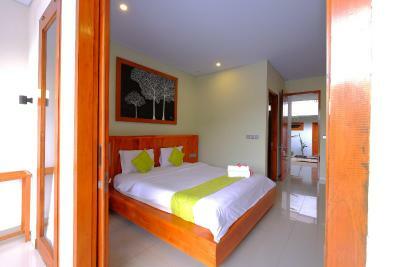 The room offers free WiFi, has a balcony with seating area, and a private bathroom with rain shower. 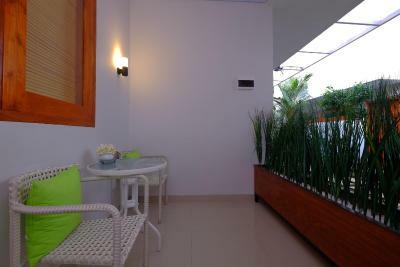 Featuring garden view, the 32 sqm room is fitted with air conditioning, a 40-inch flat-screen LED satellite TV, mini fridge and a safety deposit box. 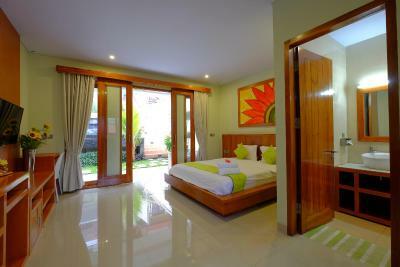 The room also offers free WiFi, has a balcony with seating area, and a private bathroom with rain shower. 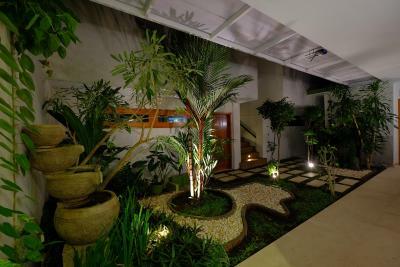 It has an outdoor seating area and a private bathroom with rain shower. Featuring access to the pool, this 40 sqm air-conditioned suite comes with a 40-inch flat-screen LED satellite TV, a kitchenette with a refrigerator and a safety deposit box. 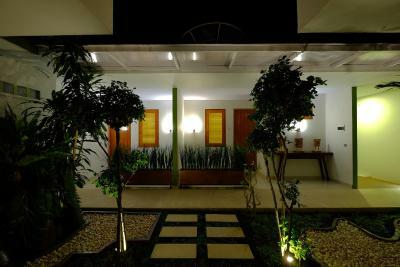 It has an outdoor seating area and a spacious bathroom with rain shower. 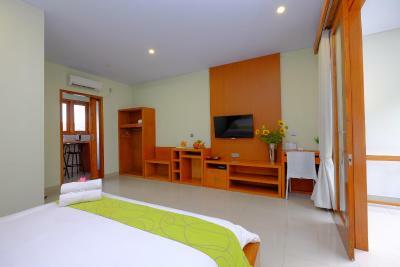 Featuring air conditioning, this room offers spacious work space, flat-screen 32-inch satellite LCD TV, and free WiFi. It also has an outdoor seating area and private bathroom with hot water shower. House Rules Villa Mataano takes special requests – add in the next step! Villa Mataano accepts these cards and reserves the right to temporarily hold an amount prior to arrival. The towels could do with changing as they had some stains and holes in them. We personally did not have any dislikes, but I can see how the steps could be a bit overwhelming for some. You do have to climb up a bit, but it's worth the view. One of the days, our towels smelled quite funky, but it was fine because we got fresh towels the next morning. The alley walking out to main road is dark at night. Make sure your phone torch is fully charged. The rooms and the facilities. The service is also good.